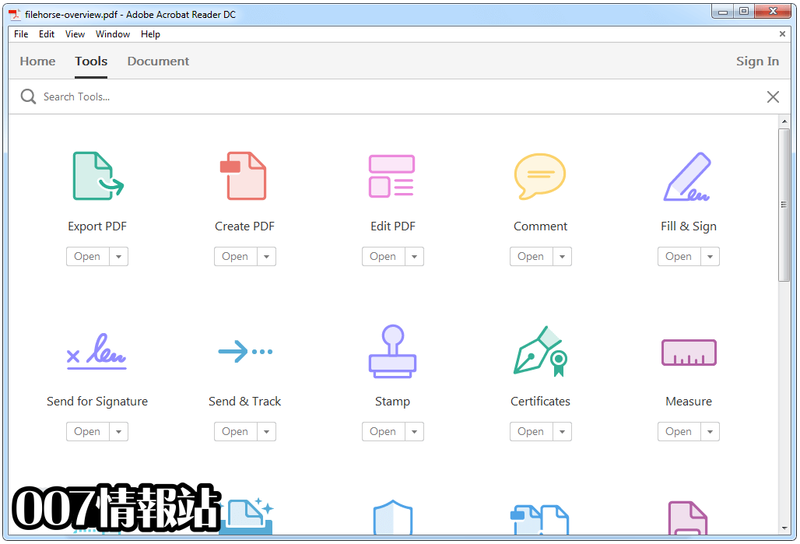 Adobe Acrobat Reader DC（以前的 Adobe Reader）比其他 PDF 軟件更強大，是用於查看，打印和註釋 PDF 的免費可信標準。而現在，它已經連接到 Adobe Document Cloud＆mdash; 所以在計算機和移動設備上處理 PDF 文件比以往更容易。您可以點擊免費下載按鈕，從我們的網站上下載 Adobe Acrobat Reader for PC 離線安裝程序. 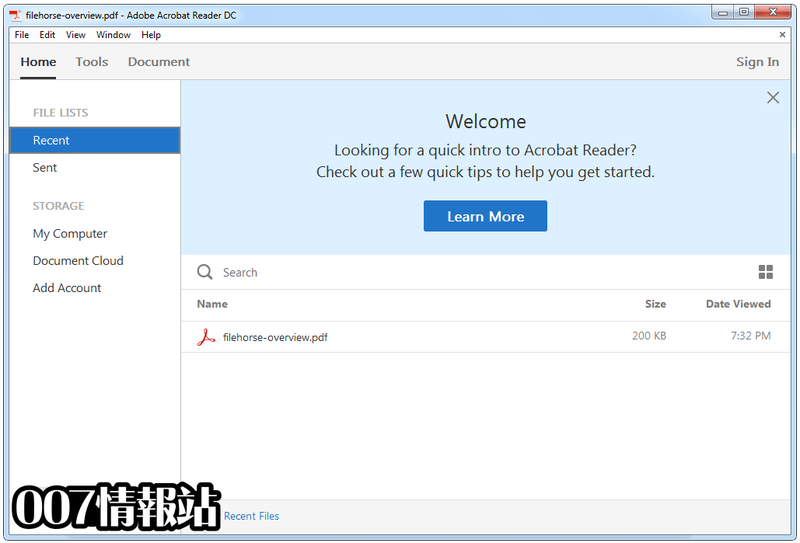 Acrobat Reader DC 具有新的現代外觀。這包括一套完整的評論工具來添加便簽，突出顯示文本，並在您的 PDF 上使用線條，形狀和圖章. 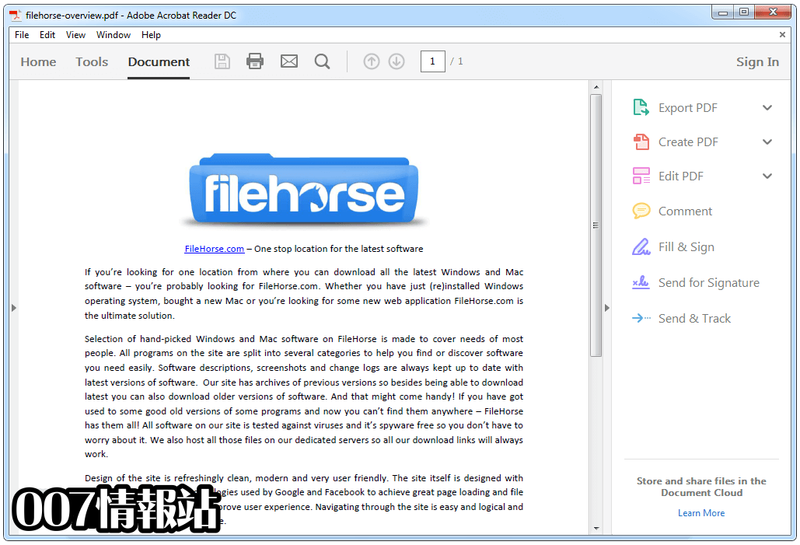 使用 Acrobat Reader DC，您甚至可以打開和查看 PDF 文件。使用一套完整的評論工具，可以輕鬆地為文檔添加註釋. - Acrobat and Reader crash on launching some XFA forms. - Acrobat and Reader do not preserve the last window state and always open maximized. - Edit PDF pop-up is opened repeatedly on opening PDFs via Reader. - This release puts in place the infrastructure for simplifying the sign-in process within Acrobat & Reader. This enhancement will be rolled out for Acrobat and Reader users in near future. - [Outlook 2016 64Bit]: Reader hangs for sometimes after closing the draft mail window. - Acrobat crashes while submitting form or Sending Comments without closing pdf, in windows 10. - This release provides various new features for end users described in the New features summary. - For these features, refer to the Administration Guide. - This release provides mitigations for vulnerabilities described in the corresponding security bulletins of Reader and Acrobat. 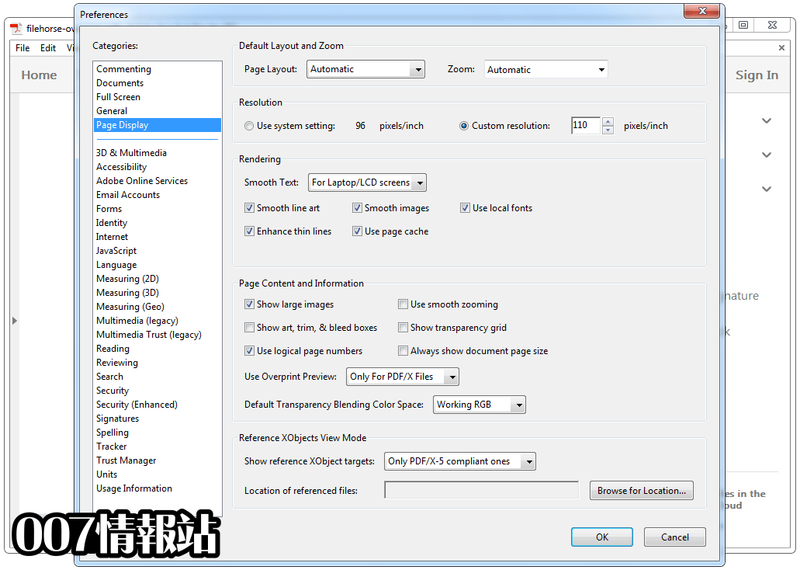 - Unable to save certain extended Unicode characters in PDF via. in Fill and Sign. - Blank CEF views are rendered after applying patch for Acrobat/Reader, if CEF resources are in-use or locked. - Acrobat DC hanging when trying to access a SharePoint library with large number of files. - When clicking on the fields in a pdf form, to set the expressions for the calculations, after repeating the process for 3-4 times, acrobat goes to a non-responding state. - Slow performance in case of huge PDF files having multiple layers. - Acrobat hangs after scanning number of pages from ADF. - Unable to scan using WIA from custom scan setting page when scanning is once done using preset options. - Nothing happens while selecting output as ‘save multiple files’ from Scan settings page. - Inserting a .ai file into pdf via ‘Insert from File...’ is no longer supported. - SMS fte card is static when acrobat is launched on fresh install for the first time. - SMS FTE Card is not appearing on Update. - SMS Feature: SMS fte card is static when acrobat is launched after installation for the first time. - PDF Thumbnails are not visible when Reader is installed via Command line/RDC. - Win8/Win10: With Preview pane ON, local files cannot be deleted from explorer. - When Word is converted into PDF, it gives a black patch. - [Unicode]:Create PDF from Web Page ignores Unicode characters. 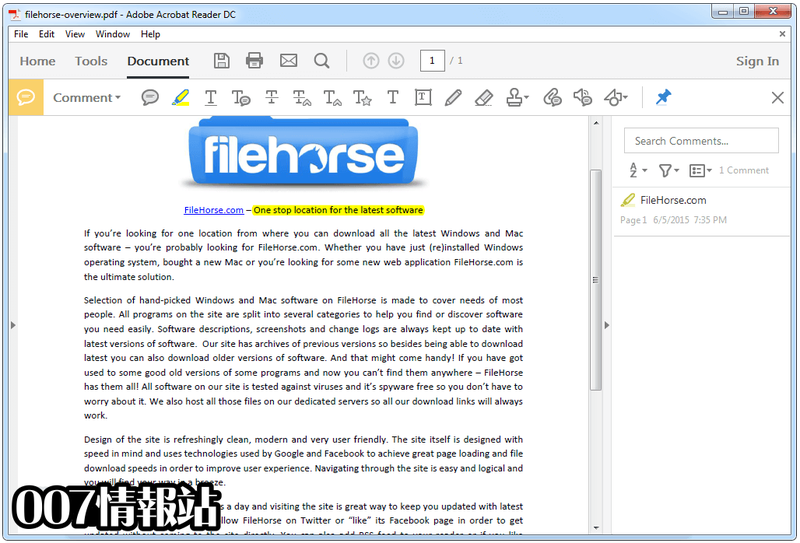 - [Unicode]:Firefox: Convert Web Page to PDF with Firefox Web Browser Acrobat widget. - Critical vulnerabilities in web capture in third-party library. - This patch fixes specific functionality issues. - When you close Acrobat DC with multiple tabs or documents open, a confirmation prompt is displayed so that you don't accidentally close documents that you may want to keep open. - Also, a new preference is introduced to reset the confirmation prompt – Edit > Preferences > General > Prompt before closing multiple tabs. By default, it’s ON. - When you have multiple documents opened, you can now compare them side-by-side by tilling tabs vertically or horizontally using the Window option (Window > Tile > Horizontally/Vertically). It snaps out the tabs as separate windows and tile them accordingly.